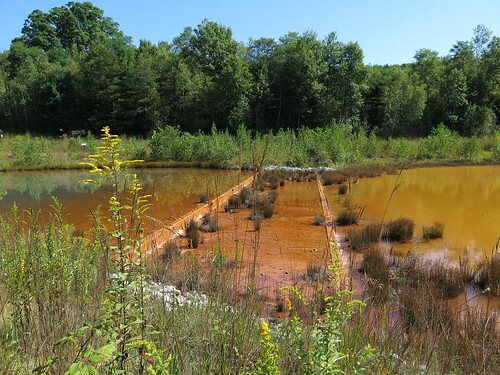 Abandoned Mine Drainage (AMD) is the primary cause of pollution in the Schuylkill River headwaters and the biggest source of metals downstream. AMD is created deep below the ground in abandoned coal mines where water fill tunnels that were once kept dry by active pumping operations. 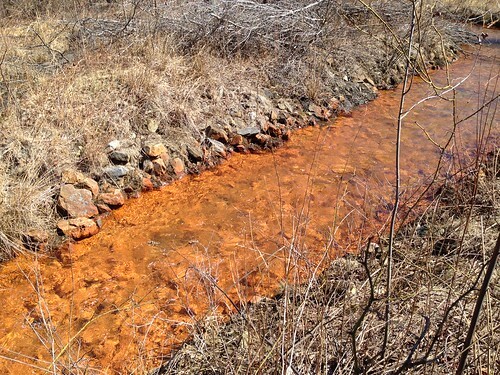 Water and oxygen react with lingering iron sulfide (pyrite) producing metal-laden and sometimes highly acidic discharges that exit the tunnels in orange and silver plumes, easily visible in waterways. 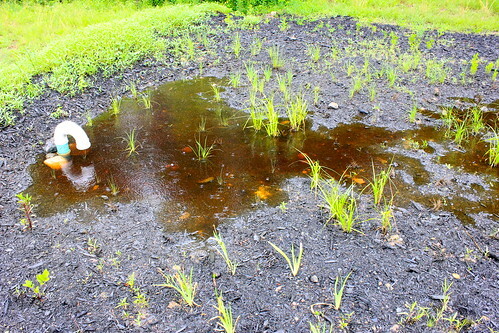 AMD interferes with plant growth and reproduction of aquatic animals by leaving deposits of iron and other metals on the streambed. Acidity and metals impair drinking water resources and quickly corrode pipes and industrial mechanisms. Waterways affected by AMD can hinder tourism and recreational opportunities like fishing, boating, and swimming. AMD treatment is expensive, but so is the economic and environmental damage that results from untreated AMD. The Schuylkill Action Network (SAN) AMD Workgroup was formed to provide support and coordination among partners working to address AMD. 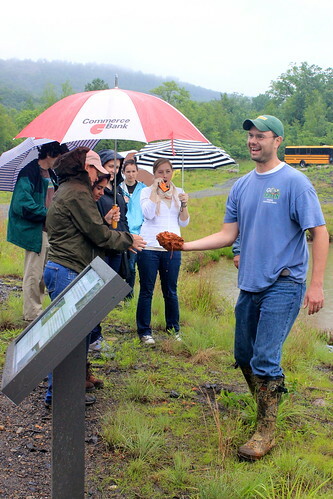 Their projects restore and protect waterways, providing eco-based economic development and recreational enjoyment for present and future generations. 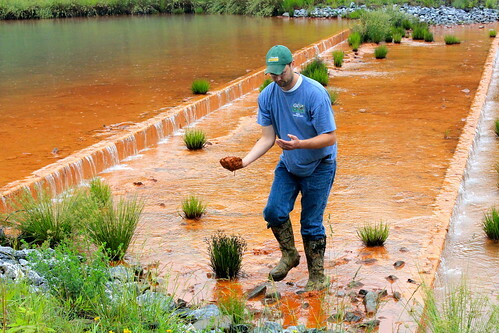 Rainwater and stormwater was diverted away from where it previously mixed with abandoned mine drainage and to a nearby stream. In Norwegian Township, a large underground area drains into the West Branch of the Schuylkill River. 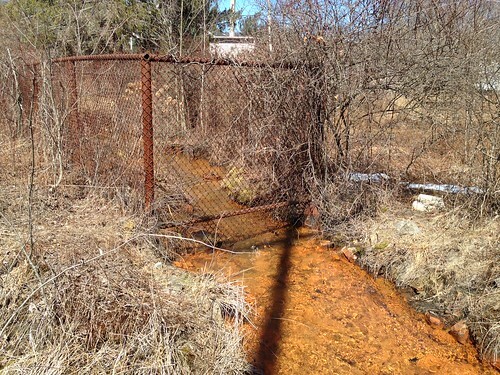 Before 2002, this included Abandoned Mine Drainage (AMD), which negatively impacted the area’s eco-system. 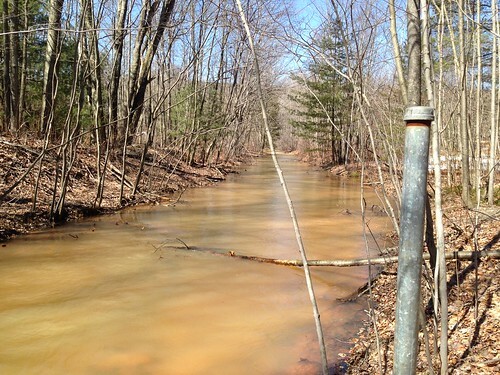 The Reading & Blue Mountain Northern Railroad Company leased a nearby floodplain to Schuylkill Headwaters Association so that they and Rettew Associates, Inc. could build a passive treatment system that would prevent this from happening. 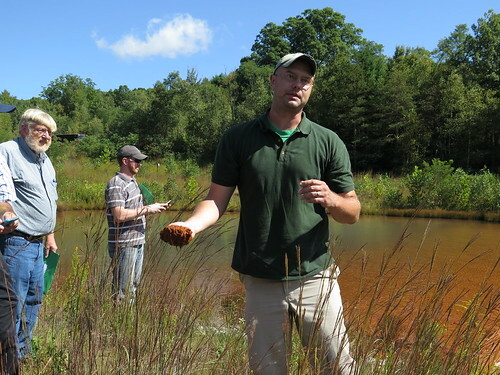 The Schuylkill Headwaters Association received a grant award for over $60,000 to complete upgrades to three AMD treatment systems in Schuylkill County. Every minute, the Oxic Limestone Drain (OLD) system at the Reevesdale South Dip Tunnel treats approximately 900 gallons of Abandoned Mine Drainage (AMD) that would otherwise flow directly into Wabash Creek, a tributary of the Little Schuylkill River. This treatment reduces the amount of aluminum, iron, manganese, and acidity present. OLD's are buried limestone ditches into which AMD water is directed. As it passes through, the water dissolves limestone, increasing the alkalinity and pH levels of the water. This lowers the acidity. 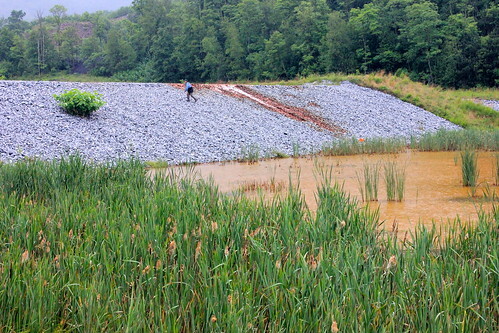 The Silver Creek AMD treatment system was completed in July, 2010. A passive treatment system was installed, which includes five pools. The AMD water is collected in the scour pool, allowing it to slow down. 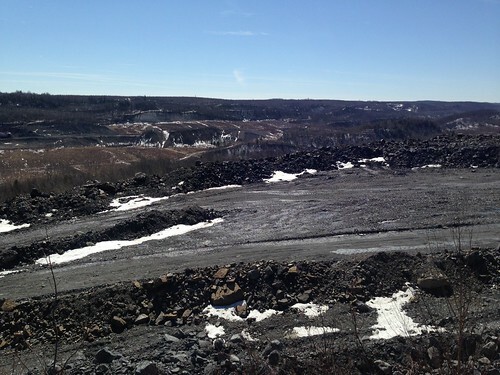 As it leaves the scour pool, the water is spread across a wide area in a sheet flow. 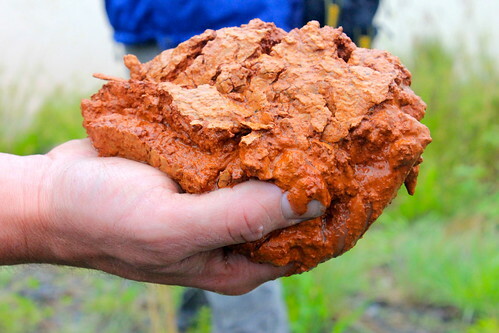 Every day, tunnels underlying the 20 square mile Pine Knot Tunnel study area drain 35 million gallons of Abandoned Mine Drainage polluted water into Schuylkill River headwaters. 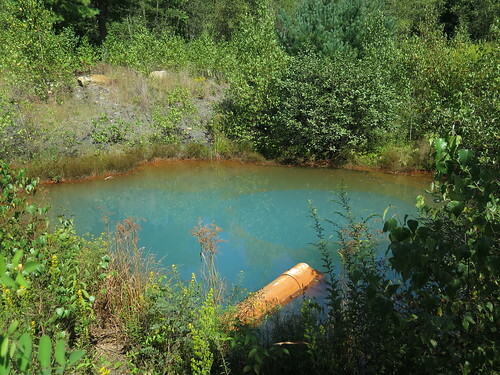 This project entailed locating recharge sites of the Pine Knot mine pool. 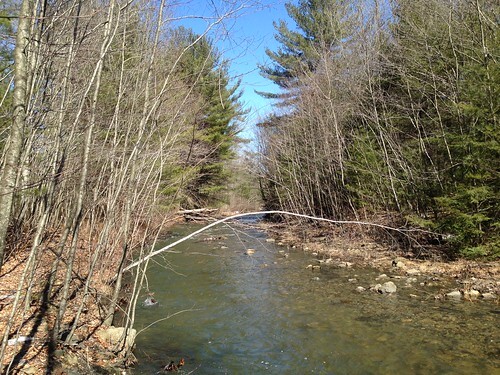 Utilizing funds from the Schuylkill Watershed Initiative Grant, the Pine Knot Tunnel project provided a conceptual design and feasibility study for remediation and mitigation of water pollution attributed to AMD at a collection of sites. Potential project areas were identified, and treatment and diversion project designs were implemented. 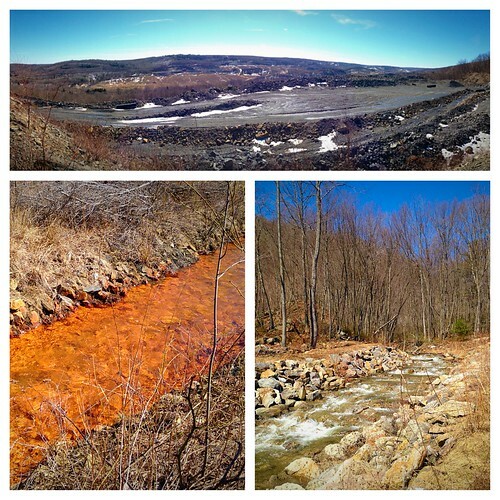 Over 200 miles of streams in the headwaters are degraded from pollution resulting from abandoned mine drainage.